As part of the project Crossrail agreed to set up regular Traffic Liaison Group meetings to coordinate works and review traffic management proposals for with each Local Authority. This paper outlines why and how the groups were run. The lessons learned are identified and the paper would be of benefit to any major project looking to mitigate the effects of construction site traffic and ways to ensure that stakeholders are kept informed. During the progress of the Crossrail Bill through Parliament it was evident that one of the main concerns of petitioners was the impact of construction traffic including lorry movements and disruption caused by works on the highway. Prior to Royal Assent of the Bill, consultation had started with highway authorities covering the Crossrail route to discuss consent procedures for works on the highway and associated traffic management using powers under the Crossrail Act. It was agreed that Crossrail would set up regular Traffic Liaison Group (TLG) meetings to coordinate works and review traffic management proposals for each authority. These would be attended by representatives of Crossrail, the contractors, TfL (including buses), the emergency services and the highway authority. The objective for Crossrail was to ensure that all stakeholders would be informed of works on the highway and that consents would be in place in time to allow works to go ahead safely and as programmed. There was a phased start to the TLG meetings following the Crossrail Act in 2008 as works commenced along the route. Initially these mainly covered works on the highway to set up worksites and for the relocation of utilities. The TLG meetings were generally arranged by borough but in some cases other boroughs attended where works crossed boundaries. Meetings covered a number of worksites and involved several contractors and consultants. The meetings were chaired by a member of the Crossrail Traffic team and attended by Crossrail site staff and community relations managers. Prior to the meeting contractors were asked to provide Crossrail with a draft of what they were proposing to present, so that the quality could be checked. The agenda for meetings included an update from each worksite and a look ahead to any upcoming works on the highway. Contractors described these works and presented their proposals for traffic management and programme. This was followed by a general discussion with contributions from all to agree a scheme that would minimise the impact on the road network. This sometimes resulted in changes to the method of carrying out the works, their timing and the proposed traffic management. It was also an opportunity for the highway authority and others to ensure that the works were coordinated with other works and events on the highway in the vicinity. In central London there was a full programme of processions, races, marches and events that affected the road network throughout the year particularly at weekends. In 2012 the London Olympics had a major effect on the road network and the timing of works on the highway. On some occasions discussions at the TLG resulted in the ability to combine a number of proposed works under the same traffic management to minimise disruption. 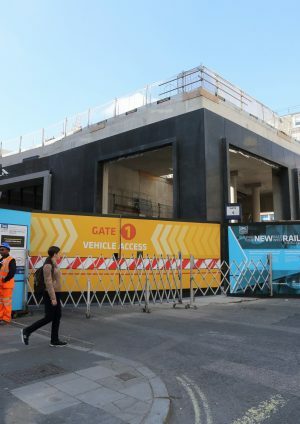 Once informal agreement had been reached on a scheme at the meeting it was followed up with a formal submission to the highway authority under the Crossrail Act powers. If required community relations managers arranged for information sheets to be distributed to residents and businesses in advance of the works. The meetings were minuted and the minutes distributed to attendees and others in the project. The success of the meetings depended on contractors planning well ahead so that there was sufficient time for their proposals to be presented at the TLGs and a submission to be considered by the highway authority. There are occasions when works become urgent and the process needs to be expedited. Highway authorities have generally been very accommodating with these but there were occasions when too many short notice submissions began to affect the goodwill that had been built up. Contractors also need to have an experienced traffic manager both to design the traffic management and ensure that it is implemented and maintained safely. This has not always been the case particularly if the contractor didn’t think a full time traffic manager was required. This could result in sub-standard proposals which then had to go through a number of iterations before being accepted and could delay the works. Some contractors employed consultants to prepare their traffic management proposals and consents submissions when required and this worked well. The TLGs proved a very useful forum to discuss and plan works on the highway. Having all the stakeholders sitting around a table meant that issues that arose could be resolved quickly. It is important to establish good working relationships with all members of the TLG. This was helped by giving regular updates on the progress of Crossrail at the meetings and if possible arranging site visits for members. Because the TLGs were often the most frequent meetings with representatives of the local authorities the feedback members gave to their organisations could give reassurance that the works were being planned and carried out in a professional manner. The frequency of meetings varied across the project. For some boroughs monthly meetings were sufficient; at others they changed to weekly because of the number of worksites and the amount of works affecting the highway. By way of contrast, in Outer London boroughs and the County highway authorities (i.e., Bucks CC and Essex CC) the scale of works only necessitated ad hoc TLGs called by Crossrail. Where, as a matter of course, the highway authority had its own regular progress meetings, Crossrail works were added to the authority’s agenda. Regular Traffic Liaison Group meetings proved very useful for Crossrail in the planning of works on the highway and are recommended for any future infrastructure projects. To be successful contractors should have an experienced traffic manager who can have an input into the planning of works to minimise disruption on the highway and who can present their proposals at the TLGs. It would be beneficial to have one of the Project site team nominated as the liaison between the contractor and Traffic team who would also attend TLGs. They would be closer to the work programme and the contractor and be able to assist in ensuring the timely presentation of proposals. There should be flexibility in the frequency of the TLGs; as works increase monthly meetings may not give sufficient time to consider all proposals. Brian Perryman is Traffic Manager at Crossrail. He is responsible for maintaining liaison between Crossrail’s contractors and highway authorities for works on or affecting the highway and obtaining necessary consents. This has involved ensuring contractors plan these works well in advance so that the necessary traffic management and programme of works can be agreed. To facilitate this regular Traffic Liaison Group meetings with the highway authorities and other parties were established prior to the start of construction. 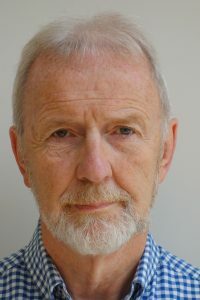 Brian has worked for local government and transport consultancies becoming involved with rail projects in the 1990s working on the Jubilee Line Extension. He then spent 8 years on the Channel Tunnel Rail Link before joining Crossrail in October 2004.